Grew Up… at Bourton in the English countryside, and what a place it was! She “became herself” during her crucial summer there at Bourton, only a girl then. It was there that Clarissa decided to marry Richard Dalloway, and not her other lover Peter Walsh. It was there Clarissa fell equally in love with Sally Seton and felt as if she could express herself infinitely. It was at Bourton that Clarissa thought she’d never get old. Living… in 1920s London, middle-aged but still fresh and alive. Clarissa begins her day with ebullient thoughts like, “What a morning—fresh as if issued to children on a beach. What a lark! What a plunge!” She’s very much in love with her own life. Interests… people. Clarissa has a real joie de vivre and loves to bring people together to create memories and celebrate life. Relationship Status… married to Richard Dalloway. Not a day goes by that Clarissa doesn’t remember that fateful summer at Bourton, when she was torn between Richard and Peter Walsh. And though she may not regret her decision, it’s always going to be one of those “what if” scenarios. The daughter she had with Richard, though, is a wonderful testament to her choice. Clarissa loves her daughter dearly and takes pride in her upbringing. Challenge… keeping her fears of death at bay. Her challenge can be summarized by the poetic line, “Fear no more the heat o’ the sun/ Nor the furious Winter’s rage.” As her years continue to pass, Clarissa must become more comfortable with her own mortality. Personality… introspective. Clarissa seems quite put together and confident on the outside, but her inner conflict sheds a great deal of light on her true anxieties and heartache. Clarissa has lived a full life of extreme highs and desperate lows, and every one of her experiences is etched into her psyche. Her complexity belies her superficial facade. There’s a lot more on Clarissa Dalloway’s mind than throwing a successful social function. 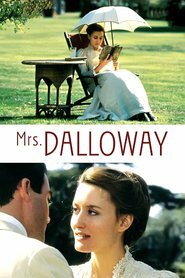 Clarissa Dalloway's popularity ranking on CharacTour is #3775 out of 5,000+ characters. See our top-ranked characters and read their profiles.